Q: What inspired your new album? SB: It’s an album of sacred songs, and chants from ancient texts. Each one has a positive message and is recorded in the original Persian or Arabic. 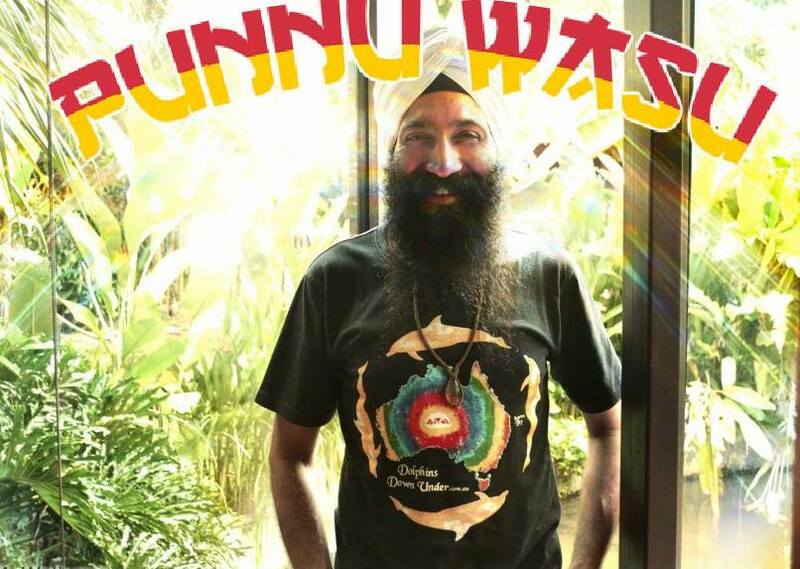 The songs on my album “One with the Beloved” are mostly original compositions and others are my versions of traditional Sufi Mantras and folk songs. Q: How did your upbringing influence this album? SB: I grew up in Britain in an Iranian refugee household. We spoke Farsi at home (Persian) My parents had lost virtually everything in Iran. It was humbling to experience being an outsider and to learn the importance of compassion and friendship at a young age from certain English friends we had who were kind to us. I went to the US to go to college after getting my GCSE. Iranians revere figures like Rumi (a 13th century philosopher and poet), whose texts are the main inspiration for the lyrics used in my album. Rumi himself was a refugee who had a revelation which transformed his creativity. I resonate with Rumi’s journey and his wisdom is timeless and universal to me. Leonard Cohen and Coldplay are among the most well known musical artists who have been inspired by his messages, yet his name seems to fall into obscurity. 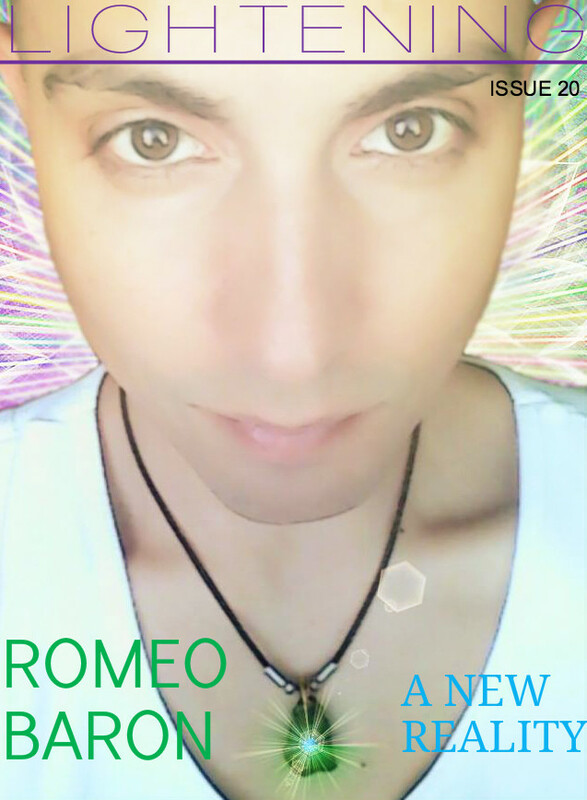 I am hoping to change that through my new album. Q: Can you explain more about your vision of unity over separation? SB: Whenever there is political violence that may hold a person in dread or despair that you pause before judgement and consider that this is a desperate act and not how people normally are. Of course some will say that is already happening, but is it really sinking into our consciousness that Islam, Middle Easterners or people of faith in general are not a danger? When people make these claims, they are attacking every person of faith and rather than to debate which side is wrong or right, I wanted to make a contribution showing the world that there is a universalist message from within a faith, which is wrongly associated with violence. We in the West are urgently lacking when it comes to reversing stereotypes in a meaningful way about civilisations that we have been at odds with. Policies of alienation and adversity are outdated and are not working as they stand. We need to start focusing on humanising and not ostracising those we cannot understand—and engaging from that place. That means calling on imagery, figures in history, literature and artistic expressions that can help us regain a more complete picture of those who have been our so called “enemies”. If we can do it in a way that is relatable, then I believe, lives can change as well as perspectives. I believe everyone can relate to a figure like Rumi because of the tremendous appeal of his writings and it’s no accident that he is experiencing a resurgence today at a time when our relationship with the Middle East is at its most chaotic. We need more of his voice. Q: What measures do you feel people could take to try to overcome the current worldwide barriers of political mistrust? SB: I could say what everybody else says: “vote” “be engaged civically” and “write to your elected Rep” and generally I would respond in such a way, BUT the truth is we’ve had colossal failures when it comes to our policies concerning the Middle East. When it comes to something like our relationship with Iran for example (and I worked in Washington on this issue) there is a lack of reliable information and it creates this sense of desolation no matter what we do or where we turn. Historically, when our institutions are gridlocked, it’s up to the grassroots to get involved and to come up with alternative ways of pursuing the positive change that we urgently need. That’s not practical or easy when there is a large distance and gap in cultural awareness. Music and the Arts are powerful tools in rebuilding that human bridge. Their potential is untapped here, and if we can make these tools accessible and personal, if we can trace the relationships between societal wounds and the wounds and fears within each person’s individual consciousness that exists, then there is hope, and I believe Rumi would approve. Q: What is Sound Healing and how did you first come across this? It’s a holistic modality that involves vibration and frequency (not just music) and it can have positive effects on the consciousness and the physiology. I learned about the cellular research that Fabien Maman was doing on blood cells and their response to sound vibration and was inspired to become a practitioner. I went on train at Fabien’s Tama-Do Academy of Sound, Color and Movement and became certified as a sound therapist in 2011, two years after leaving my career in Washington DC. Q:You have worked in the past with many major businesses such as Google to provide their teams with Sound Healing and Talks. How did this come about and what has been the feedback and positive impact of these? SB: I had someone who took a workshop with me in Bali who worked at Google. They invited my to their offices and I did a presentation for them in Singapore and had a great response. 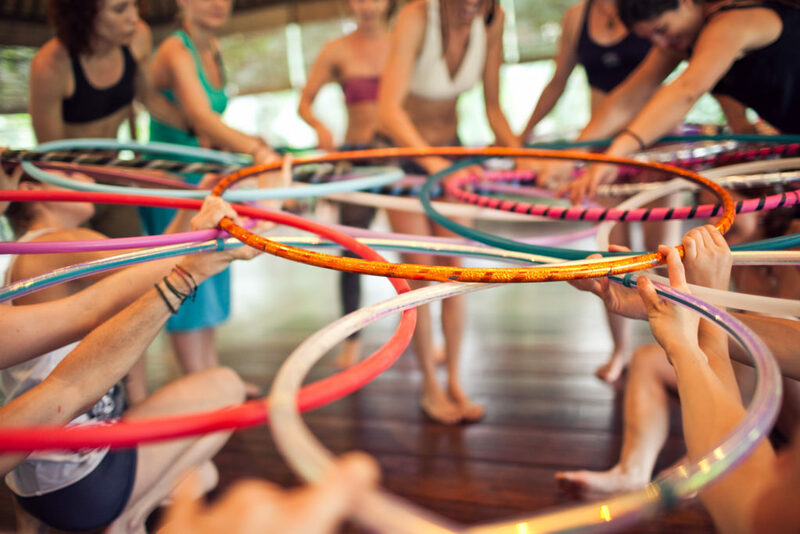 I have also done corporate events in Bali and shared about my personal journey to retreats and private groups as well as giving a demonstration of the deeply relaxing effects of the different instruments I play. Former Capitol Hill coalition strategist on US-Iran policy Shervin Boloorian embarks on an unconventional project of reconciliation between the Middle East and West through the power of music. 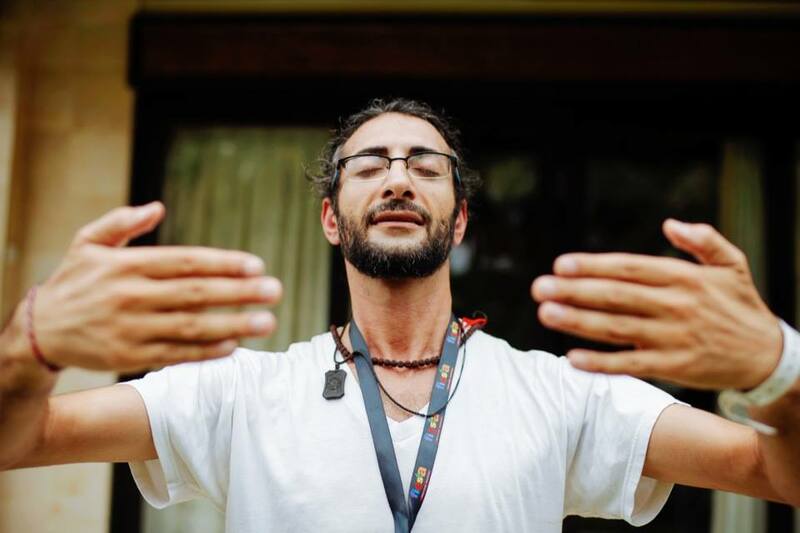 Boloorian, now a top certified sound therapist in Bali, launched a cross-cultural music project centred around his new album of sacred songs, with some wisdom from world-revered 13th century Sufi poet Rumi, all in original Persian and Arabic languages. Guided by other music activism campaigns such as Live AID, and the Free Mandela concerts in the 1980s, Boloorian wants this project to raise awareness and start a positive wave of interest in Middle East and Western commonalities through music that he says goes beyond entertainment. Boloorian’s new album, ‘One with the Beloved’ is currently being crowdfunded with the goal of leveraging its songs to support live music workshops, community forums and other engagement activities. 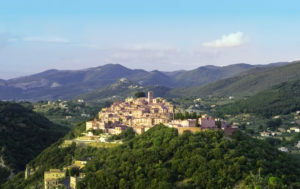 The first song from the album, ‘Baza’ received praise by renowned dance music DJs Timo Maas and Nick Warren who both gave the track a 5 star reviews. “…this is a brilliant song, full of emotions and very well arranged…Perfect for chill out/” read some of the online reviews. The Sufi-inspired compositions vary in tempo and style; some recorded with meditative instruments used in Boloorian’s popular sacred sound concerts, and others with upbeat rhythms found in Sufi Zikr music. Endorsed by leading Bali cultural and holistic community leaders, the project is also backed by world Rumi authority, bestselling translator and author of “The Essential Rumi” Coleman Barks. British disarmament expert and British American Security Information Council head Paul Ingram is still part of the peace and security community Boloorian belonged to during his time in the US. Ingram is a firm supporter of Boloorian’s unconventional new solution to repairing relations and start a positive dialogue between Middle Eastern and Western culture. “There are many hundreds of thousands of people working explicitly for peace by addressing the symptoms of fear and conflict,” said Ingram. Prior to his days as recording music artist and sound therapist, Boloorian spent over nine years in Washington and Sacramento, leading and advising US-Iran peace coalitions, briefing elected officials, and reviewing a major coalition Iran policy brief sent to President Obama’s desk. He worked with a number of congressional, non-profit and community leaders, Nobel Prize Laureates and ambassadors as an advocate for disarmament and avoiding war with Iran. In recent years Boloorian U-turned away from his career as a peace policy strategist to become recognised as Asia’s premier “Tama-Do” sound therapist. 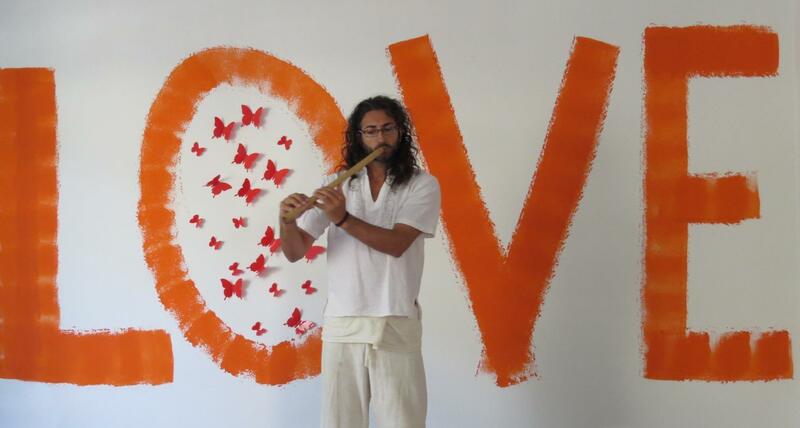 He spearheaded a movement in 2012 to incorporate sound therapy as part of Ubud’s live music culture and established the acclaimed Bali Sound Healers Collective. This new project is particularly close to Boloorian’s heart, due to his past as an Iranian refugee migrating to the UK in 1978. He first realised the magical healing power of sound as a child upon discovering the ability to hum to himself as a method of providing comfort and emotional support during this highly traumatic and stressful period in his young life. “I was three when I left Iran and joined the many millions without a home nation,” said Boloorian. “It’s a devastating experience and the story of the album is a reflection of my own journey, going from a very alienated and troubled place to one of inner calm,” said the Iranian-born vocalist. After nearly a decade of working on policy reform, Boloorian decided it was time to leave DC and reconnect with the power of sound as a professional, becoming a certified sound therapist, musician and vocalist. “I became a sound therapist because I realised peace was more about bringing soulful living back, not just some distant ideal,” he said. Rumi is noted as the top selling poet author in the USA and is respected across the West and the Muslim world with his works translating into 23 different languages. Boloorian explained Rumi’s voice easily crosses faith, nationality and ideology. “Rumi’s popularity is surging just when the world’s relationship with the Islam and the Middle East seems at its lowest point. I see this as a paradox and an opportunity,” he said. The sound therapist plans to incorporate story-telling and theatre events, forums for dialogue and collaborations between local musicians and those from migrant or refugee backgrounds in cities right across the world to follow a global tour. “If the momentum is there, I see this as blossoming into a global collaborative,” predicts Boloorian. “I’m urging international community and cultural groups, organisations, businesses and community figures to become a part of our project and to help assist us in whatever way they can. We need help to push the Kickstarter over the finish line in the final weeks and help share the message that music can be a healing force,” he added. The crowdfunding campaign concludes on July 25, 2017 with the ‘One with the Beloved’ tour beginning in August following the album’s scheduled release in September; with Sweden, Switzerland, UK, Italy, Spain, Germany and Holland already listed as destinations to be followed by dates for Asia, Australia and the US. 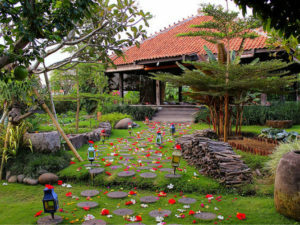 “Anyone who spends his time tackling the huge divide the world is currently experiencing with music and the teachings of Rumi is worth supporting,” said founder and director of the Ubud Readers and Writers Festival Janet De Neefe. “Now more than ever we need to focus on the fundamental importance of peace and compassion to find a solution to our current global dilemma. 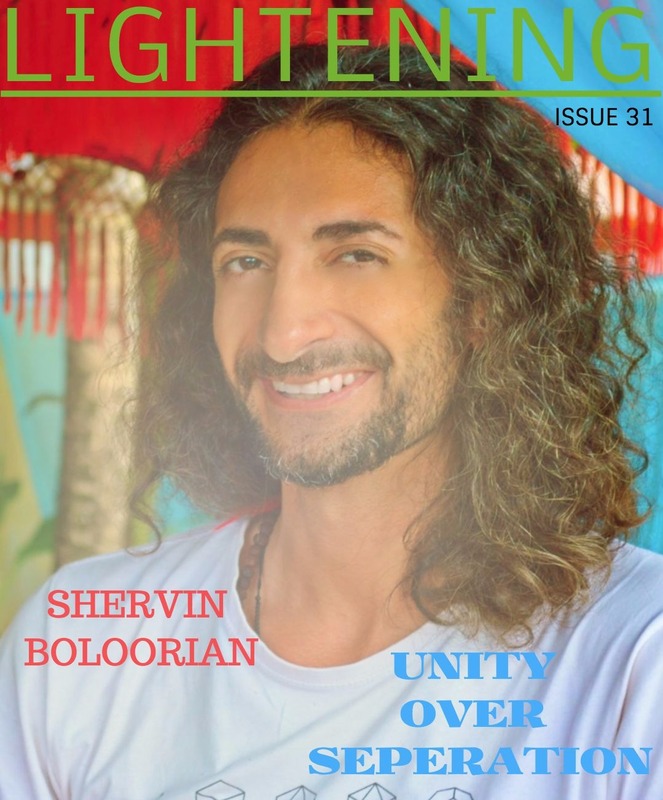 Shervin Boloorian’s music offers an extraordinary, healing journey with mystical sounds, both traditional and new”. This is why I teach yoga and meditation. I know that these teachings have given me tools to step out of my personal addictions, and help me to make better decisions daily. And with my own healing, I can offer more support and love to those around me. I can live a life of service and have the most positive impact in the world. This shift in consciousness is the rise of the Divine Feminine. The energy of the female is potent — She gifts us the qualities of creativity, intuition, protection, holistic thought, collaboration, empathy and unconditional love…all of which have been ignored and abused within our society for far too long. While men have an equally important role to play, it is women’s time to gather in sisterhood to encourage mass collaboration and love as the qualities our society will recognise and hold sacred moving forwards. This is why I share the practices of yoga and mindfulness through retreat immersions around the world. 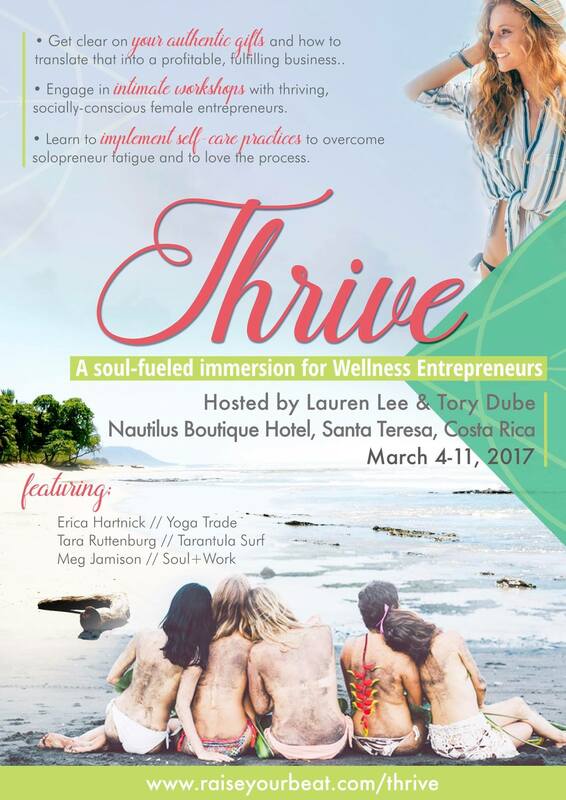 I want EVERY human to first treat themselves with the love and respect they deserve through heathy lifestyle habits: high vibe nourishment through diet, sleep patterns, physical movement and time for reflection and relaxation to bring awareness to the parts of us we need to nourish (or begin to nourish) daily. I want women to learn to accept themselves exactly as they are, to see themselves as a beautiful and unique Goddess and live with more sweetness. Most important, I want everyone to experience the gift of sacred community: what it feels like to be seen, heard and felt from a place of neutrality. When we feel nourished from within and supported from those around us, we naturally rise into our highest selfs. This is the power of Divine Sisterhood. Our sisters provide the platform for loving-kindness and a safe haven of support. Our sisters help shape-shift us into better partners, mothers and daughters. They remind us of our power and responsibilities as women of the world. They hold us accountable without shame or blame. They honour our uniqueness and help us integrate with tenderness. The power of sisterhood is fierce, creative, loving and a change-maker…and this energy resides within each one of us. As we are all a direct mirror reflection of one another, it is imperative we take initiative and become mentors for the world. Women must celebrate and collaborate with one another in order to encourage those around us to follow suit. And when enough of us support one another to take action, the system will naturally adapt to support us. There is a ripple effect which will spread far and wide. It is our birth right to step into our highest selves — to be happy, healthy and give back to the entire eco-system that is our global family. This is a call to action to create more Divine Sisterhood in our lives. Together, women can change the world. I feel it. I believe it with every single cell in my being. Things are just getting good and I am so honoured to be here, right now, alongside you. The Divine Goddess within me, recognises the Divine Goddess within each and every one of you. 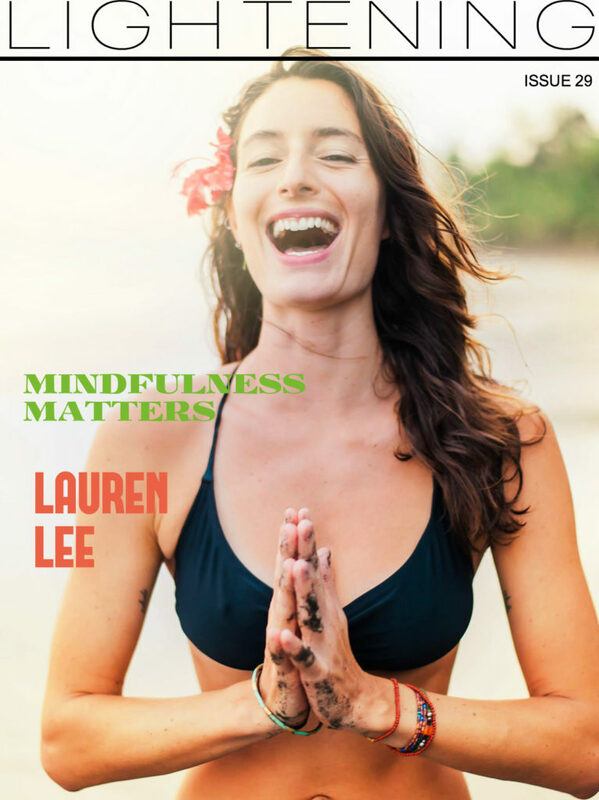 LAUREN LEE is passionate about holistic health, exploring the world and empowering others to live vibrant and happy lives. 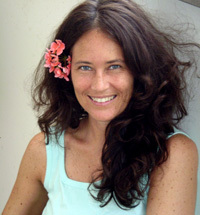 Founder of Raise Your Beat, dedicated yogini and sun seeker, she lives for creating connection and enjoying simple pleasures. 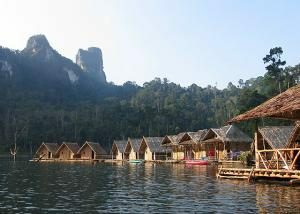 Checkout Raise Your Beat for more great articles and upcoming retreats. 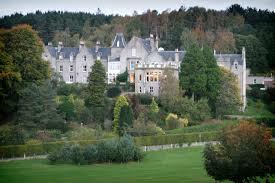 Use the code: LIGHTENING for discounts on retreat bookings! Mindfulness is derived from Buddhist tradition, yet beautifully integrated and aligned with the philosophy and aims of yoga. Mindfulness is a gentle effort to be continuously aware. It is a conscious direction of your awareness. It is an emotionally non-reactive state, one that witnesses emotions/sensations and actively chooses to allow them to pass through and cease to exist. This frees us from our thoughts, emotions and experiences (whether they are pleasurable or difficult) and transcends any limiting beliefs of judgmental states to heighten our moment to moment focus. It is the art of attention; the fullness of living in the present moment and the sweetness of living in those moments with ease and gratitude. Mindfulness is free and available to all those who commit to the practice. Most importantly, mindfulness is not only for the elite or for when you are on your yoga mat. As many of you reading this already know, the true reflection of our yoga practice is demonstrated off the mat — in the moments far from the comfort of our yoga teachers and studio community. Our true character shines through during the moments when we are asked to ignite our inner strength (similarly as we do when we go upside down) or find guidance through calm rhythmic breathing (similar to the flow we cultivate during dynamic sun salutations). These experiences are when we get to bear the fruits of our labor from our consistent practice of asana, pranayama and meditation to elevate our lives every single second, of every single day. Here are 5 simple ways to practice mindfulness and enhance everyday through subtle, non-judgmental and open-hearted living. The senses are the windows to the world; we experience life through the senses, and each sense has it’s own unique and rich sensation. Feel the rays of the sunshine or a cool breeze. Hear the sounds of people and activity around you. See the simplicity, beauty and perfection within nature. Smell the coffee you are about to consume. Taste and enjoy each of the different foods you consume. Touch a loved one with intention as if it were the last time you would see them. Experience the 5 senses as if it were the first time you have every lived — with a new perspective, one that is so enthusiastic to be alive in human form to live on this beautiful Earth! Do this as often as you can. When in conversation or when quiet. See how smooth and even you can make your breathing. Ideally, aim for a steady inhale count to 3 with a slight pause, and an exhale count to 3 with a slight pause. Shorten or lengthen your rhythmic count depending on your lung capacity and current state of your nervous system. When you feel like you need to ‘reset’ take 3 cleansing breaths — in through the nose and out through the mouth with a sigh-like sound. Then work to build your even and full breathing so it is sustainable. Notice how this will encourage you to breathe more deeply as the spine lengthens and there more space is automatically created within the chest and lungs. You may also find you feel more confident, strong, awake and open. Take breaks and walk in nature. Visualize your toes as they touch the ground and take time to enjoy the fresh air and change of environment without an agenda or any distractions. Take a moment of gratitude before meals. Pause for a deep breath before you begin and cultivate gratitude for the nourishing food in front of you. Eat your food slowly so you can savor each bite. Notice each food you eat through the textures, temperature and flavours. Smile. Notice how this simple act shifts your perspective and the situation at hand to automatically feel more positive, lighthearted and pleasurable. Smiling is proven to lower the heart rate as it relaxes muscles and relieves tension in the body, and boost endorphins, the feel good chemicals that lower stress levels and encourage higher levels of happiness. Smile as often as you can and at as many people as you can…it is a contagious act of kindness that can only be received with mindfulness: a non-judging state of freedom and sweetness. The human body is a latticework of energies, vibrating at different frequencies, encompassing the physical, mental, emotional and spiritual aspects. 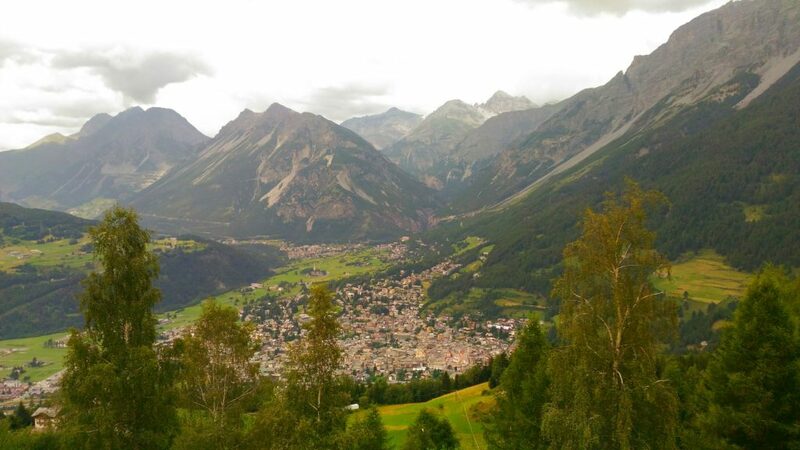 It has been perfectly created to function optimally, providing we observe the laws of nature. When we divert from these laws, through breathing polluted air, eating food far from its natural state, drinking chemical laden water, ingesting toxic medication, smoking cigarettes, drinking alcohol, using inorganic body and household products, being exposed to electromagnetic pollution and even thinking negative thoughts, energy imbalances result within our physical, mental, emotional and spiritual body, creating dis-ease. The symptoms of our dis-ease are merely the body’s innate method of correcting the imbalances within, to allow us to return to our natural state of wholeness. When we attempt to treat our dis-ease through the administration of medication, we are merely temporarily suppressing the symptoms. We are not addressing the root cause of our dis-ease, i.e. the energy imbalance. The medication causes further imbalances, disrupting the body’s natural immune system, which is rarely given the opportunity to fulfil its role. Over a period of time, our initial dis-ease re-appears with more serious symptoms. Our body, once again is attempting to correct the imbalances within, to restore the healthy flow of energies. Our new symptoms are diagnosed as a new dis-ease, stronger medication is administered and the viscous cycle continues. The traditional energy healers of India had a wealth of knowledge on how to diagnose, treat, and cure dis-ease by natural methods, and through the generations, a great deal of this ancient wisdom has been kept alive, some of which is described below. The purpose of applying traditional Indian holistic therapies is to empower our body’s innate ability to self-heal. 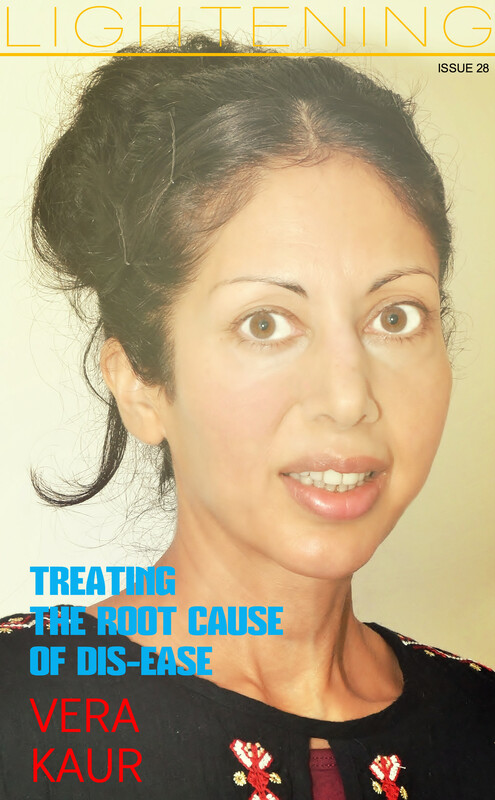 The holistic practice of diagnosing and treating the root cause of dis-ease, thereby curing dis-ease by applying intermittent pressure on specific areas of the hands and feet, that correspond to specific organs, glands, nerves, bones, tissues and so forth. This regulates the vital energy within the body part, empowering it to function optimally. Traditional Indian medicine widely recognises that the physical root cause of all dis-ease lies within our endocrine and exocrine glands. These glands have a profound effect on our entire being as they regulate the functions of our systems and organs by secreting the numerous vital hormones essential for our well-being. It is only through the application of acupressure, that our endocrine and exocrine glands can be re-balanced and re-empowered. The holistic practice of balancing the vital energy throughout the body by joining different combinations of the fingers and thumbs. It is believed that the human structure is a miniature form of the universe, composed of the five elements; earth, water, fire, air and space, each of which corresponds to a specific finger or thumb. Holding specific fingers and thumbs together for a short period of time allow the elements to regain equilibrium which creates a positive effect throughout the entire being, to encourage our body’s natural healing response. Traditionally, mudras were practiced in conjunction with pranayama (yogic breathing exercises) to attain a higher state of consciousness or to channel the vital flow of energy to an area of the body that required healing. 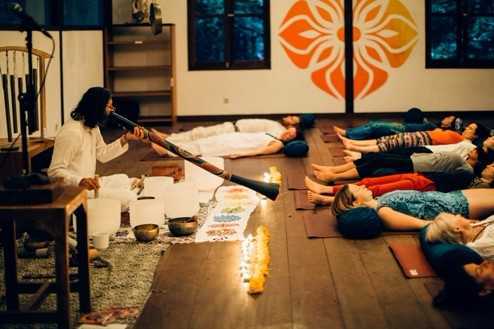 The holistic practice of controlling the breath by a number of different techniques to increase the vital energy within the body. Our breath is the life force that flows through each and every cell within our body, and by expanding our life force we can harmonize with the life force of the universe, to receive cosmic healing energy. Our thoughts and emotions can have a detrimental effect on our breathing patterns, affecting all the bodily systems. However, with the regular practice of pranayama we can influence our physical, mental and emotional states in the most positive of ways, to initiate the body’s natural capacity to self-heal. Traditionally, pranayama was practiced to release negative emotions, re-balance the body’s energies and prepare the mind for meditation. The holistic practice of quietening the body and mind through awareness to enter a state of deep tranquillity whilst being fully alert. 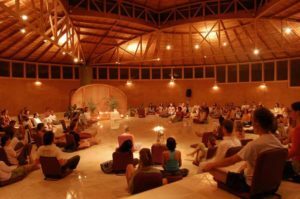 Meditation has been practiced in India for centuries to promote good health at a spiritual, mental, emotional and physical level. It allows us to re-connect with our true selves to experience inner peace and contentment, which we can draw upon in times of external stress and chaos, to remain calm, centred and in control. Meditation is immensely therapeutic and with regular practice it enables our entire being to rest, recharge and recuperate to release negative thought processes, deep rooted emotional trauma and pain. Traditionally, meditation was practiced to discipline the mind to attain spiritual purification or enlightenment. The holistic practice of repeating a mantra, for a short period of time, to detach from the external world, bring our awareness to the present moment and return to the essence of our being. A mantra is a rhythmic speaking or singing of a word or sound. It is believed to calm the restless mind and rid it of negative thought processes to create tranquillity and mental purity. Chanting starts loudly, gradually becoming quieter and ends almost silently. This resonates with the energies of the physical, mental and spiritual aspects of our body, to restore inner peace and awaken our latent healing energies. 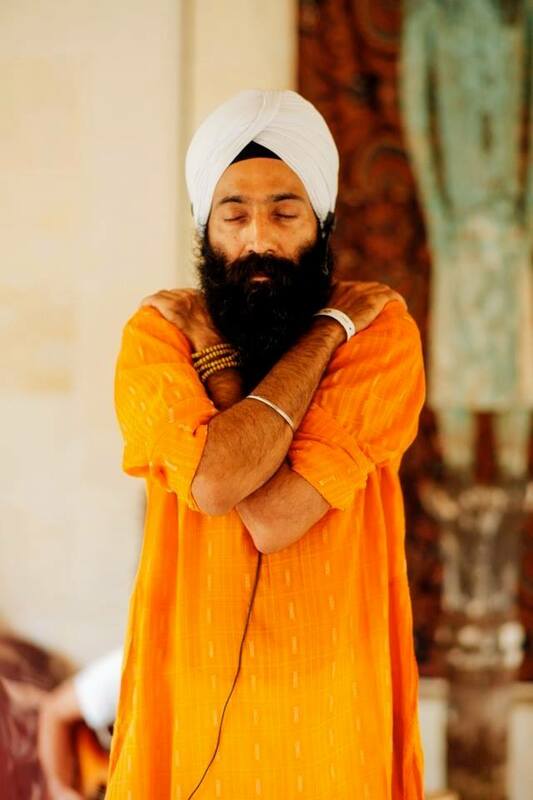 Traditionally, chanting was practiced with great devotion to reconnect with the divine light and love within us to experience the unity of life. The holistic practice of balancing the energy throughout the bodily systems by applying gentle pressure to specific points on the face that correspond to the body’s organs and glands. It is believed that our face reflects our inner physical, mental and emotional health and the upper, middle and lower areas of our face are associated with the upper, middle and lower parts of our torso. Indian energy healers study the face as a means of diagnosing health imbalances. Self- facial acupressure is effective for restoring our skin’s youthfulness and assisting our natural capacity to heal, as it re-activates the vital energy flowing through our bodily systems. Traditionally facial acupressure was applied during an Ayurvedic head massage to calm the mind, body and spirit. The holistic practice of applying specific colours to parts of the body, by various methods to heal energy imbalances. The sun is comprised of seven colours, each of which possesses its own unique energy vibration and carries its own healing property. Each of the seven colours is associated with our seven main energy centres known as the chakras. Colour can be absorbed by our body through our chakras by sunlight, artificial light, the earth’s natural stones, water or visualization to restore harmony by correcting physical, mental and emotional energy imbalances. Traditionally the sun was worshipped for its ability to provide the necessary healing energy required by the body, to treat and prevent dis-ease, due to its abundant and unlimited source of solar energy. The holistic practice of placing the earth’s natural stones within the body’s magnetic field to restore the flow of healthy positive energy within and around the body by removing the toxic negative energy. The earth is crystalline, as it is composed of minerals, and our bodies are crystalline in essence; therefore our energies resonate harmoniously with the vibration of crystals. Each crystal possesses a unique chemical make-up which determines its healing property and appearance. Placing a crystal in our energy field or on a chakra allows our body to raise its vibration to that of the crystal. Traditionally, the earth’s natural stones were well known for their capacity to encourage self-healing and were widely used treat the organs and systems of the body, mind and spirit. The holistic practice of physical postures known as asanas, each of which has specific physical, mental, emotional and spiritual benefits to unite the body, mind and soul. Yoga alleviates numerous health conditions through restoring the healthy flow of our energies. The breathing carried out during the practice improves our cell oxygenation and increases our lung capacity which is beneficial to every bodily system. Regular practice of the asanas instils a calming and balancing effect on our endocrine and nervous system to relieve stress and anxiety. It is believed that as our physical body becomes more relaxed, flexible and open, this promotes a similar effect on our mental and emotional body. 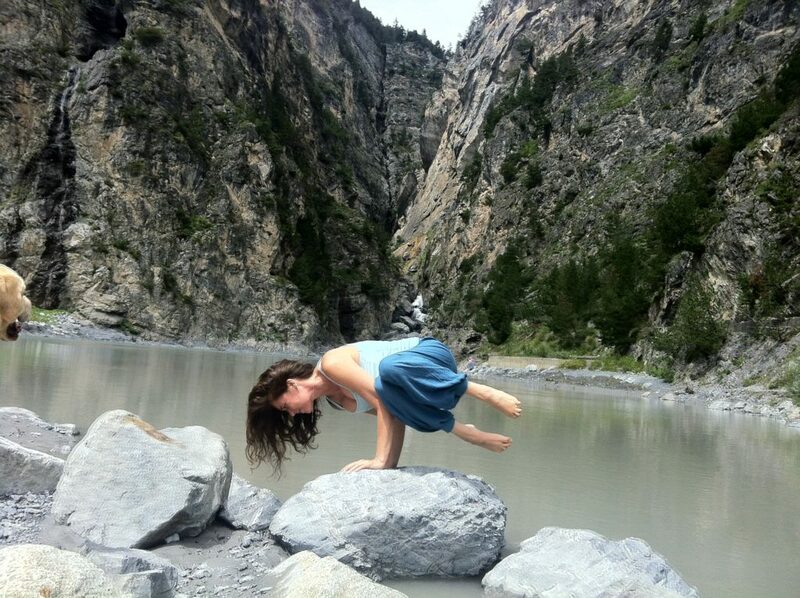 Traditionally, yoga asanas were practiced to purify the body and quieten the mind in preparation for meditation. 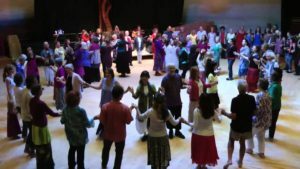 The holistic practice of walking on the natural earth, barefoot to draw upon the powerful and unique energy source that lies within the earth. The earth is composed of minerals and the human body is mineral in essence, therefore our body’s energies resonate perfectly with the earth’s energies. It is believed that through the practice of barefoot walking, our body absorbs the antioxidants it requires to counteract harmful free radicals. Sleeping outdoors during the summer, on a natural fibre placed directly on the bare earth is immensely therapeutic and described as charging the entire being with the vital healing force of the universe. Traditionally, humans were aware of the benefits of connecting their body with the earth’s surface; sleeping and sitting on natural animal skins and walking barefoot. The holistic practice of creating positive images of healing within the mental body, which allows the emotional body to respond by becoming receptive to the healing, which subsequently initiates the healing process in the physical body. Our body and mind are intricately connected and our thoughts have a direct influence on our physical health. By using the power of our mind, to envision our healing in process, we are disciplining our nervous system to react in a positive way, resulting in the desired outcome. The regular practice of healing visualizations, allows us to detach from our past limited beliefs to release our fears, bring our awareness to the present moment to enable us to create a healthy future. 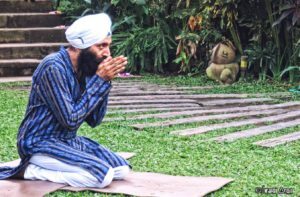 Traditionally, there was an innate awareness of the mind, body, soul connection and healing visualizations were practiced through daily prayer. The holistic practice of eating food in its whole, un-refined and un-cooked form that is positively and negatively balanced, supplying the body with a plentiful supply of solar energy and active enzymes. Food eaten in its raw, natural state has a detoxifying, calming and balancing effect on the energies of our body, which instils a similar effect on the energies of our mind and emotions. All of the nutrients required by the body are available in plant based food, in a form that is easily assimilated. Traditionally, fasting was recommended during illness to allow the body’s energy reserves to be directed towards self-healing, however adopting a raw food diet for a short period of time can have similar health benefits. In today’s fast-paced world, as we strive to create balance in our bodies, tranquillity in our minds and harmony in our lives, to experience inner peace and contentment, we can benefit enormously from the ancient Indian wisdom of self-healing practices to cleanse, calm and empower our energies, ensuring they flow smoothly and synchronically, instilling physical, mental, emotional and spiritual well-being. 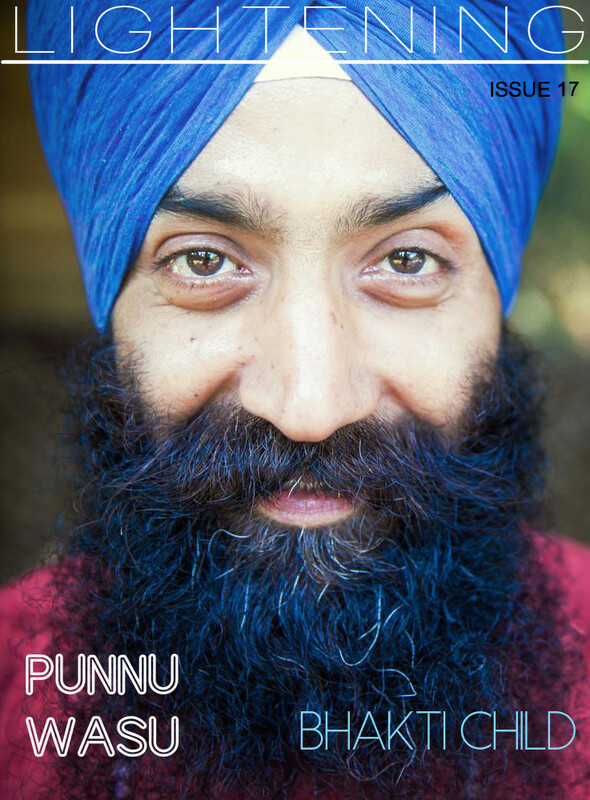 Vera Kaur is from Sikh Indian origin and currently lives in the Forest of Dean, England. 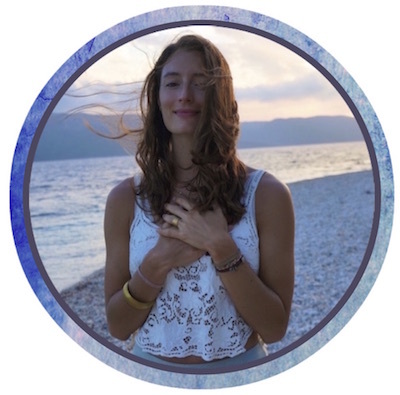 Indian holistic healthcare was part of her upbringing and in her twenties she visited and lived in ashrams in India, where she observed the remarkable results of the self-healing practices used by the traditional energy healers. Vera would like us all to be empowered with this ancient Indian wisdom, to take responsibility for our own health and well-being. “Diagnose, Treat, and Cure All Dis-ease with Traditional Indian Holistic Therapies”. Much of what appears to you to be personal tragedy upon your plane of earth is, in reality, nothing more than an unwillingness on the part of the personality to listen to the wishes of the deep self. In this way, does it set up the drama for movement. The ego shall have a view of the purpose of life that is forever in direct conflict with that of the soul’s. The ego’s major wish is for the safe, the known, and the secure. The soul, in its absolute knowingness of its indestructibility, wishes only for growth, expansion, and new challenges so it may express its unlimitedness. The soul sees change as the path to the wholeness it seeks to rejoin. To the soul, change represents the most direct route to expand beyond the limits presented by a fearful personality. The ego was given the function of keeping self safe until the age of reason. It is at that point that you are aware of clear, inner messages and you have the ability to interpret these messages and ultimately choose your actions accordingly. Many of you, however, have reached well beyond the age of reason and still you allow yourselves to be dictated to by the parental ego, seeing yourselves as powerless children. It is always your choice. The path without change, the limited way of the ego, will give your body the message that life is not unlimited and that it is dangerous to live fully. Ultimately these messages will cause the body to begin to turn away from life through disease and ageing. However, if you begin to listen to the soul – speaking to you through the sounds of intuition and the insights of imagination – your life will be extraordinary. You will begin to reflect the view of yourself as dynamic, creative, ongoing movement and energy. The ultimate message to the body then will be that life is good and meant to be experienced fully and that the body should choose more and more of life. Do you want to know how to make your life less traumatic and more understandable? Listen, simply listen to those inner stirrings and promptings your ego would have you disregard. In this way will you begin to make the choices that will end your need to create catastrophe in your life so that you will be physically forced to listen. You, more than any other creatures we have known, have devised the most creative and ingenious ways of effecting growth without appearing to have done so. You will go to any length so that you might take no responsibility or control for the situation that forces you to move and grow – from accidents involving physical injuries, to being fired from jobs that are no longer appropriate, to being robbed of possessions that are in truth burdens, to being abandoned by friends so that you might make space for new ones. All of this drama, simply to appease an ego so afraid of initiating movement on its own that it would prefer to deal with trauma rather than experience the unknown. Change, the most fearful of words to the ego, is what all things upon the earth plane do. Change is a constant, a given. The process of change is your closest connection to the creative unlimited energy of the Divine. Your concept of God is quite strange. You believe God to be perfect, but if something is perfect it is finished, the standard is set, it is complete, absolute, and limited. Is that concept not also the one you have of death? The energy we know as God is ongoing, totally alive, ever-moving, expanding, and growing. It is dynamic and creative and, beloved, changing constantly. The more your life reflects those God-like qualities, the more you move within the Divine’s conscious stream of light and power. Bless those situations that impose the greatest difficulty. You have caused them so you might no longer experience a drain on your life force. You have caused it all. You have used your power to remove people from your life, to create “accidents” that “just happen.” Robberies are not random chance, illnesses are not punishments from a God who does not love you. You create it all. None of this need occur in your life if you listen and act from an open heart that expresses the desires of the deep self. Listen, trust, act in accordance with what you feel inside – even if other does not understand your way. In 1984, at the age of 37, I was in a serious car accident that resulted in a near-death experience. It presented me with the gift of being able to channel direct guidance. Over the years, this information has become the basis of three books: Unbound, Tao Passages, and The Way to the One I AM. 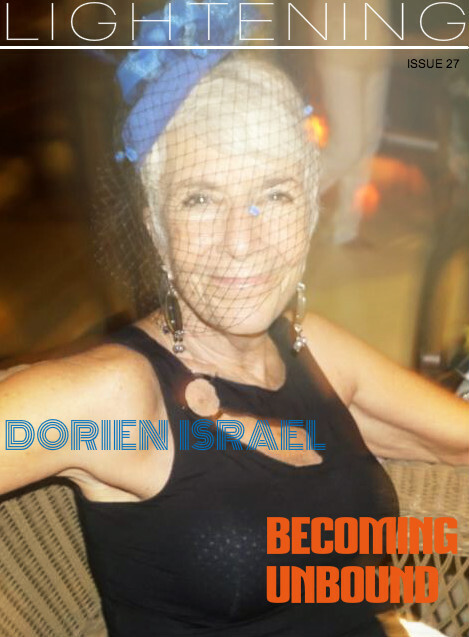 I began to live what was channeled and found it to be profoundly authentic and practical. Growing naturally out of readers’ responses, transformational workshops and individual sessions began to develop. 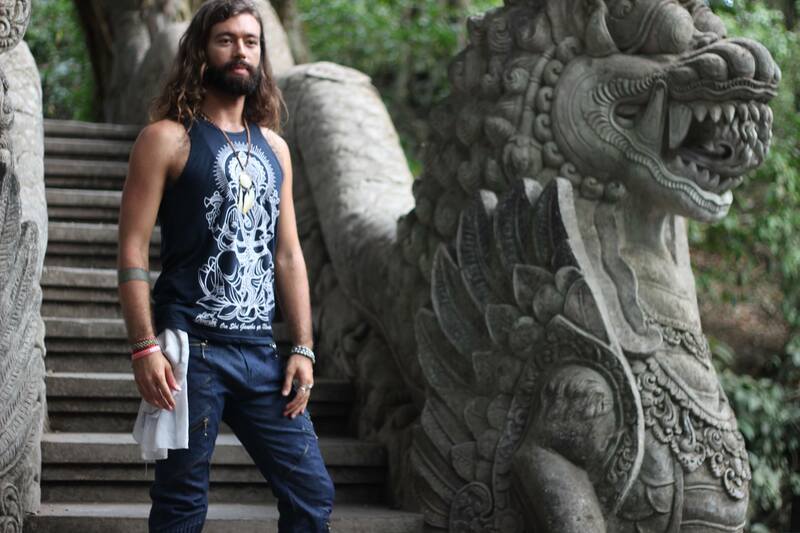 In 1987, I moved to Asia and for the next five years, I continued to lead workshops, as well as deepen my own ongoing spiritual practices of yoga, qi gong, and meditation. When I returned to America in 1993, I felt alienated from a Western culture consumed by its own excesses and, in response, suffered a clinical depression, which began what I call my “Prozac days.” Out of this suffering emerged an irrepressible longing to know Truth. 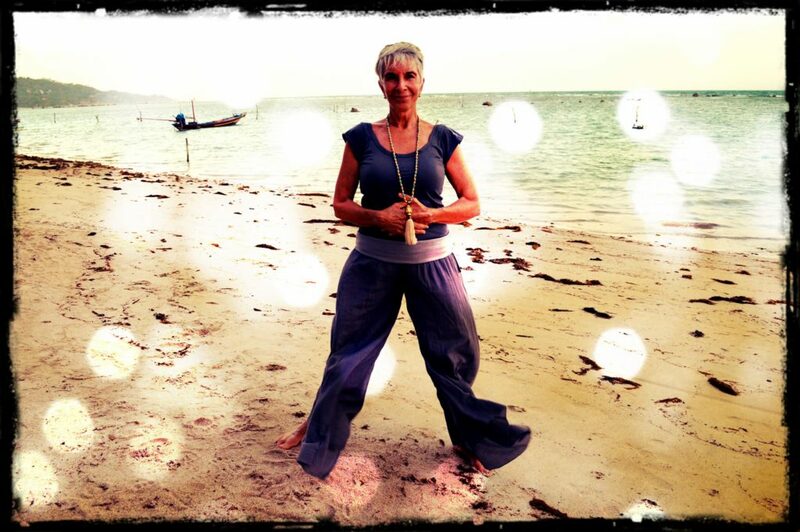 In 1997, after a lifetime of material success and spiritual searching, I moved to Koh Samui in Thailand to align my inner vision and values with my outer way of life. 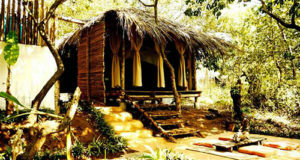 I left a 32-year marriage and the material trappings that accompany the life of a diplomat’s wife, and rented a primitive bungalow on the beach. For the next four years, I journeyed inward, remaining in relative stillness, silence, and solitude to see if God truly existed. Without the distractions of the outer world, the conditioned “me” began to slowly settle, like silt in a pond, revealing naturally Who I Truly Am. This effortless shift in consciousness is available to anyone who is willing to simply stop the search. This total transformation is now what I most enjoy sharing through my Unbound sessions. 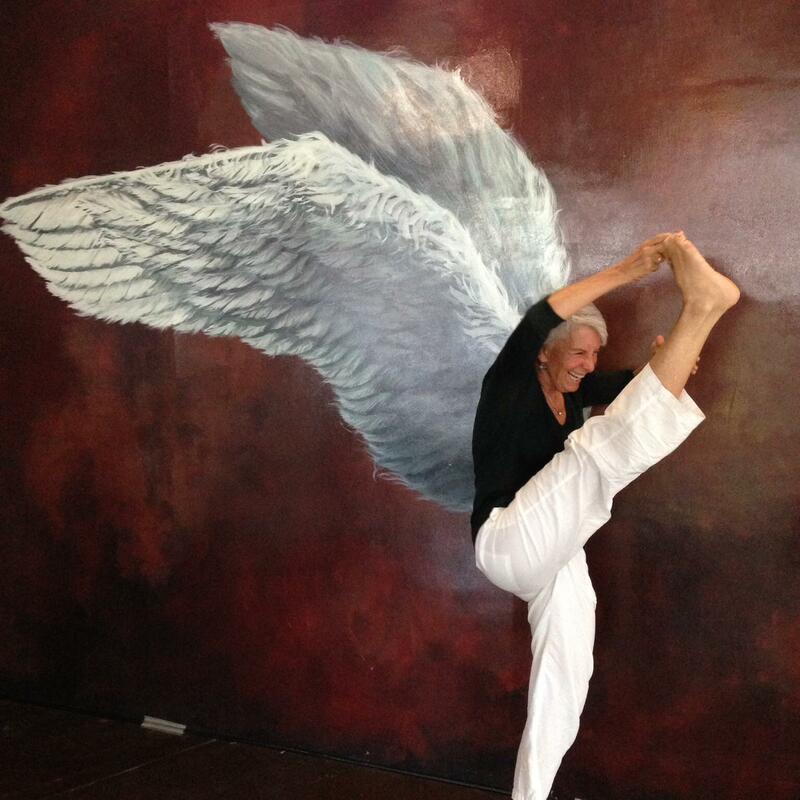 At 65 years old, I am happy to report we truly can transform our lives, enjoy our bodies, and be wholly who we are. It’s time to awaken to what is already alive within you. I planned to do my usual laps around the park, then I decided to do my push ups BEFORE running. I got to the park’s outdoor gym and decided to go straight into Sirsasana pose, which is the head stand. Half way through the 3 minutes I usually do it for, I felt a sharp pain on my back, to the left, next to my spine, behind my heart. It felt like my lungs were pierced by my rib. I had experienced this pain before and being committed to the practice, instead of coming off the Sirsasana, as I was seriously weakened in that moment, I decided to override the pain (NOT something I would EVER recommend to students however) and connect with my energy body, instead of focusing on the pain in the body. We are not the pain in our bodies. 1.5 minutes later (and they always have to be slow seconds because commitment is there) I knew there was problem. I couldn’t breathe properly, couldn’t expand my lungs. I was fine though psychologically as I had encountered this experience before in life, so I knew it would pass at some point. Certainly no more running that day or for the next few days. Annoying as it was, I had to accept it. I didn’t want to let go of the push ups, so after much slow breathing energy and Qi / Healing energy moving, I was just about ok to go down on my knees slowly and do my 100 push ups. Going down was painful but once I was horizontal and in the push ups, it was fine. Afterward, I went straight home. And was received by Ama Lia Wai-Ching Lee, who saw the state I was in, as I couldnt breath properly or speak very well when I entered the home. So, this is the point of this sharing…it was HEALING TIME. She got into her Healer mode straight away and sent me into meditation. We were going to access the source of the physical pain, which is found in our Consciousness. All physical pain has a source, not the physical world, but the spiritual world. Something usually related to past lives. Some kind of trauma in past lives has been stored in the holographic memory which composes our multidimensional matrix and this is what true healing is. We access the memory of the source or origin of the pain, we come to see it for what it is, we get empowered and the issue is gone. This is ever lasting healing so I knew I was in safe hands of course. She is by far a healer that creates a field of transformation unlike any other healer, shaman or mystic I have ever met. Aside from Great Rinpoches or other more “out there” teachers. So I am sharing my story of a healing session which just happenend. A very weak pain is still around, but the disabilitating grave pain I was in is now gone through 20 mins or so of healing. Just astounding how Ama is able to tap into source, to the field of infinite potential, and allow you to come to your own healing, identifying what it is the cause and why the effect has been such. In this last healing session just now, I got a great gift, a big surprise and that is how magic goes. We are brought to a space where we feel reality, we see more clearly, the nature of life as infinite potential. I have done 3 sessions with her, and been at close proximity with her for over 2 years now, so I understand her impact in the lives of others, and still it is astounding to observe the healing work that happens when she does it on me. 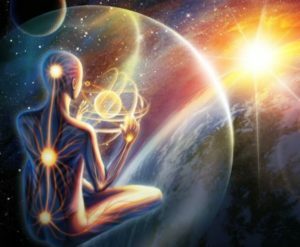 These deep deep traumas incurred in our past lives are blocks which we were born with in our multidimensional matrix of the self. So this is something that our personality is not aware of. In each session I have done with her, what arises is either physical pain or some kind of behavioural limitation in life, ie creating abundance or having harmonious relations with others, and then it is seen for what it is. Visually, we jump from life to life, seeing karma playing out as it is, repeated patterns of behaviour happening from life to life, affecting us in ways which eventually prevent us from having our desires fulfilled. Of course, this is also a huge blessing, as we get to understand life and the way of the cosmos. Ama Lia makes sure that the healing done is “seen”, so it truly goes away when the pain or limitation is acknowledged mentally, emotionally and spiritually as a lesson, and therefore something to aid us on our path. Once healed, our lives are truly transformed. Like going from being a slow car to a Ferrari. That’s how it feels, something that has been deeply traumatic in our souls history, is healed. To me, this is priceless and no money can ever pay for this kind of transformation. 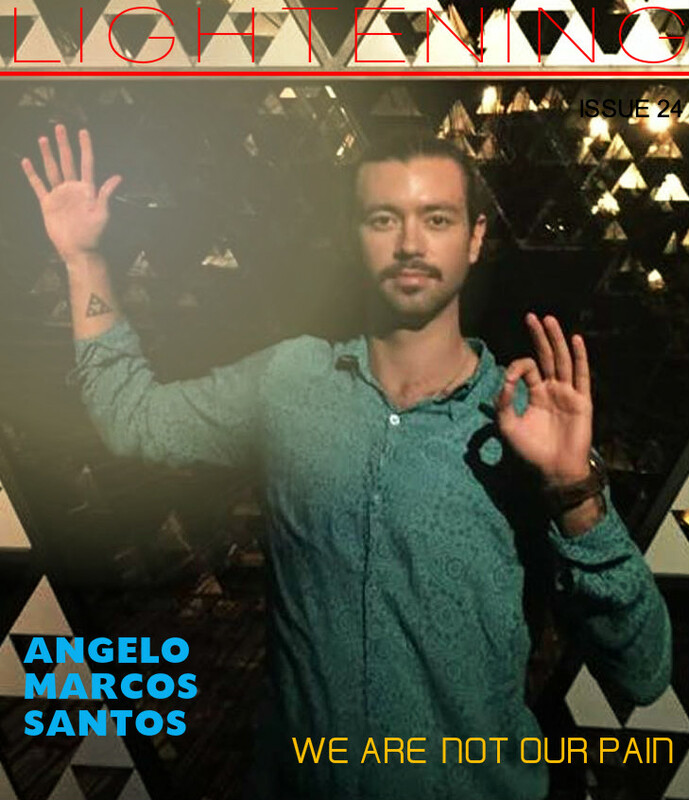 Angelo Marcos Santos is a consciousness researcher, who investigates the limitlessness of the human potential through Arts, Science and Spirituality. 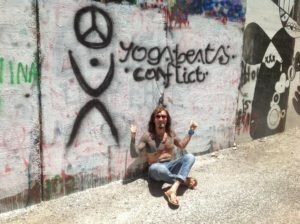 He is a Yoga & Meditation teacher, Mandala Artist, Dancer and Boardsports Enthusiast. More recently a poet, inspired by anything and everything to do with loving the Beloved.